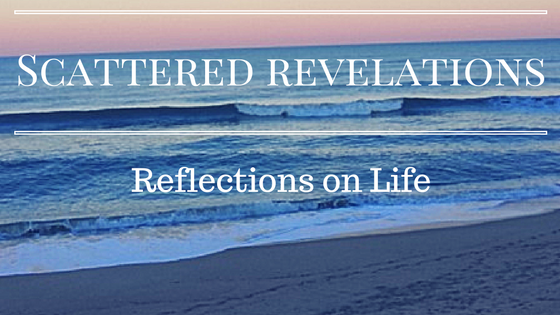 This is the text of a sermon I preached at Unitarian Universalist Congregation of the Outer Banks on Sunday, Dec. 8, 2013. The readings for the sermon are "The Pilot" by Gaia Brown and "Prospective Immigrants Please Note" by Adrienne Rich. It is pleasure to be back with you! Thank you for your warm welcome to me and to my family. Lately I have been challenged to go way outside my comfort zone. It has been wonderfully liberating to break free of the voices that tell me “you will look foolish” “what will other people think” and just be. How is it that we come into this world small, vulnerable and yet so open, so trusting, so ready to learn and explore and then somewhere along the lines it gets lost and muddled? Yet this sermon is not really about why we get lost it is really about what happens when we step out of the comfort zone. So let’s begin what is the comfort zone. Each of us has our own comfort zone. For some it may be very narrow and confining, restricting us to a small circle of people and experiences. For others the zone is wider, includes more people and experiences but still there is a border there, one that once it is crossed discomfort sets in. Now comfort zones are not all bad. Typically they are the zone in which we feel competent. I actually believe that the goal is not to get rid of our comfort zones rather it is to recognize the limits of the comfort zone and when it may benefit us to stretch ourselves, move outside of it. For example I hate roller coasters and the thought of them is not at all pleasurable. For some of you, the exact opposite is true. Now whether or not I ever ride a roller coaster again will not determine the quality of my life or whether or not I can live an authentic life. However when I was a teenager, that fear of roller coasters was an impediment to enjoying being with my peers. It set me apart. Since I was unwilling to step outside my comfort zone, my fear kept me within it, and I may have missed out on a number of fun activities in my youth. As an adult woman, the urgency of enjoying roller coasters has passed and I am grateful that my daughter loves them! Yet what if the things we are unwilling to try or explore are bigger than my fear of roller coasters? What if the things we fear are paths to our authentic self? What if it is about realizing our deepest held dreams? What if within that comfort zone we are withholding our gift that will help heal the world? The comfort zone is not limited to individuals. Groups and communities and even whole nations have comfort zones. On this level the stakes are even higher. On the positive side the comfort zone of the group, protects the group and makes it feel secure. Yet this is also its shadow! When the group refuses to step out of its comfort zone, it can cease to change, to evolve, to let new in and ultimately that can lead to the extinction of the group. Sometimes the comfort zone takes priority to such a degree that it will do anything, including acts of violence, to protect it. This can lead to war, genocide, systemic oppression like Jim Crow Segregation or South African Apartheid. When the group refuses to allow “the other” in … then the other becomes an object of fear and hatred. As the poet Adrienne Rich states in her poem, you can choose to go through the door or not go through. There are no promises. She even assures us that it is possible “to live worthily, to maintain your position, to die bravely.” Maybe we think “Hey that doesn't sound so bad. That sounds like a decent life. I can live with that.” Then she reminds us “but much will blind you, much will evade you, at what cost who knows?” Ah there is the rub isn't it. We may not even know the cost we will pay. Are we willing to live knowing that life inside the comfort zone may not be truly living at all? See inside the comfort zone our egos and our fears rule the day. The ego is all about preservation of the status quo. Now the ego gets a bad rap. It is not all bad. It is like money. It can be a good and helpful servant but it is a terrible master. For the ego uses fear as its ultimate source of control. Now sometimes fear is a good thing. Fear can keep us from taking a dangerous action, it can help us listen to that warning feeling that danger is imminent. It can keep us from making some foolish, reckless choices. Choosing to step outside the comfort zone doesn't mean taking foolish risks for the sake of taking risks. Stepping out of the comfort zone is choosing to step forward into the unknown to achieve a bigger goal or purpose. We do not step outside the comfort zone merely to step outside of it. In other words, we go through the door to “remember our name, to have things look at us and look back at them and to let things happen.” It is about what happens after we take the leap, not the leap itself. So to go back to my roller coaster example, it might be worthwhile for me to ride a roller coaster if in fact I need a harmless way to practice stepping outside my comfort zone, but the reason I may want the practice is so I can take an even bigger risk. So some of the ways I have been stepping outside of my comfort zone lately have been funny, foolish and fun. Yet I had to overcome my ego which said “what will people think? This is foolish.” One example of this is that I participated with a small group in seeing how many hugs we could get in a shopping center … so as a group we offered hugs to shoppers. It was so much fun! We brought so many smiles to so many faces. Yet my comfort zone would never have let me do such a foolish thing. Yes we looked foolish and people looked at us like we were fools but it didn't matter! There were so many more smiles and lots and lots of laughter. It was one of the most fun things I have ever done! In taking these fun risks, it broke up the fear so I can take bigger risks. Such a risk may mean reaching out to a new person to talk about a project. Maybe it is standing up here to preach this sermon. Maybe it is saying what needs to be said knowing it will not be popular. When we learn to step outside the comfort zone we also find joy. I have to tell you since practicing going outside my comfort zone, I dance with a lot more abandon and freedom. It is fun and other than embarrassing my teenager daughter, a really good thing. Overcoming those fears means I am more connected to myself, more connected to others and more alive. It is possible to choose to step outside our comfort zone. We can make the choice to live more authentically, to take risks, to be more fully alive. This recent experience was very much one of those times. I agreed to take part of a personal development workshop. Now probably if I had known everything that was going to happen I might have hesitated but trusting my sister and taking the leap worked out. It can also happen in therapy or on retreat. For some it can come through reading any number of books. Personally I highly recommend Parker Palmer if you are looking for a place to begin. In fact the process of learning to step out of our comfort zone is a lifelong one. It is not one of those things we learn once. I find however that many of us find ourselves forced out of our comfort zones. Once forced out we then have a choice to make … is this the worst thing ever and as soon as I can I am getting back into that zone or OK this is not very pleasant, yet look at all that I am learning and experiencing out here. OK so maybe there is something too this whole getting out of the comfort zone. For many of those we are like The Pilot. We find ourselves in the dark, lost, over a desert, and running out of fuel, and suddenly we are way outside our comfort zone. How many can relate to those moments? Nelson Mandela is good example of this. Forced into the horror of Apartheid and then sentenced to life in prison for fighting against the imposed comfort zone. Let’s face it Apartheid was designed for whites to never have to leave their comfort zone. Mandela could have made some very different choices in response to the imposed circumstances of his life. When he was finally released, he chose to forgive and to leave bitterness in that cell. He could have retreated and quietly lived out the rest of his life upon leaving prison. Instead he used the things that had happened to him to lead his nation to freedom and in the process inspire us all. Yet Mandela did not claim divine-like power, he said this “I was not a messiah, but an ordinary man who had become a leader because of extraordinary circumstances.” So we do not honor Mandela by saying “Well there won’t be another Mandela” and go back to our comfort zones. We follow his example by using our circumstances to become leaders of our lives. That is why we leave the comfort zone. Hopefully in the process we also do our part to do justice, bring healing and more love to a hurting world. Probably one of my biggest critiques of Unitarian Universalism is that we love the comfort zone. I am not the first person to offer this critique. Henry David Thoreau offered a similar critique in his Harvard Divinity School Address when he talked about “corpse cold Unitarians.” For Thoreau and the other Transcendentalists the problem with Unitarians was that they were so stuck in their heads that they could not feel, they did not live, they were emotionless. Too often we Unitarian Universalists fear depth of emotion, embodiment, and passion. We are very rational. We want things to make sense. On the one hand that is a tremendous gift. Yet human beings are also feeling, passionate, embodied beings. As James Luther Adams reminded us human beings are not simply rational creatures. I would say “Thank Goodness” we are not just rational creatures. Life is about so much more than our rationality! Yet we UUs really like to stay in our heady comfort zone. For a faith community to not merely survive but to thrive, especially today, it must be willing to step out of its comfort zone. We must be willing to take risks not knowing if they will succeed or fail. Stepping out of our comfort zone means we are going to get it wrong sometimes. We may end up looking foolish. For a heady group of perfectionists, this is terrifying. I don’t want to make light of that very real fear. Yet as Nelson Mandela reminds us, it is not about getting rid of the fear. It is about conquering the fear. It is about not letting it rule the day. I believe our congregations have a saving message for the world, yet we can only offer our message by stepping outside of our comfort zone, conquering fear and yes having faith that in doing so we can transform the world. All of you here at the Unitarian Universalist Congregation of the Outer Banks are standing in front of a door. You are standing at a moment of transition and you will have choices to make about how you will go forward. Transitions are perfect moments for stepping out of our comfort zone. The choice, however, rests with you. Will you risk trying new things? What is the larger vision that is worth the risk? Who do you see yourselves becoming and is the vision large enough? Again you are asked as a community, will you walk through the door or won’t you? Will you step outside the comfort zone or not?